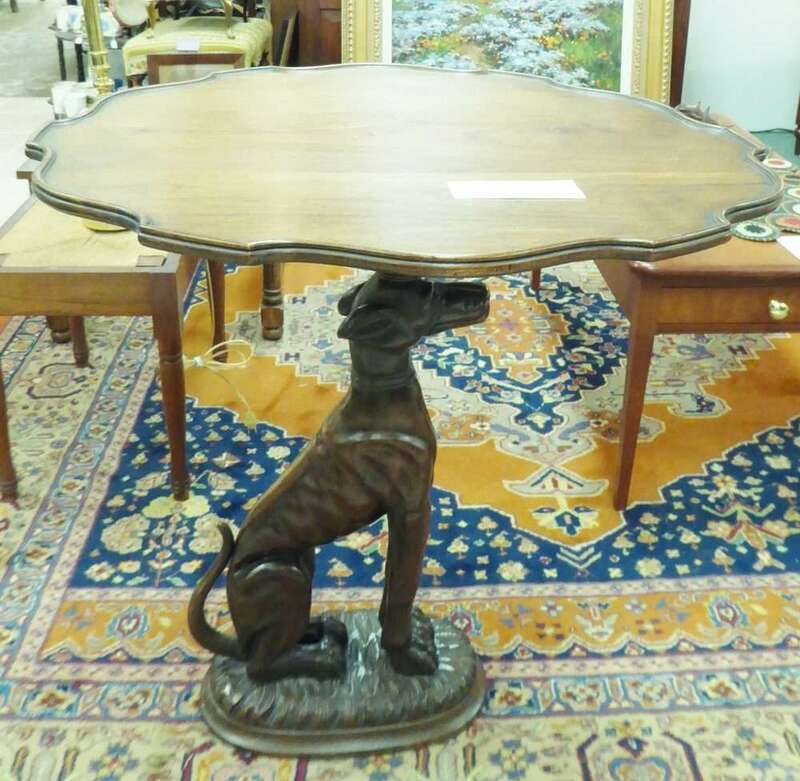 New Arrivals for Your Consideration! 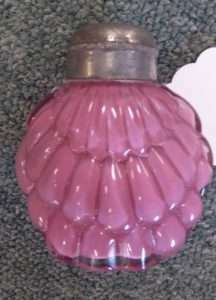 Pink Art Glass Shaker from Booth 118, $60.00. 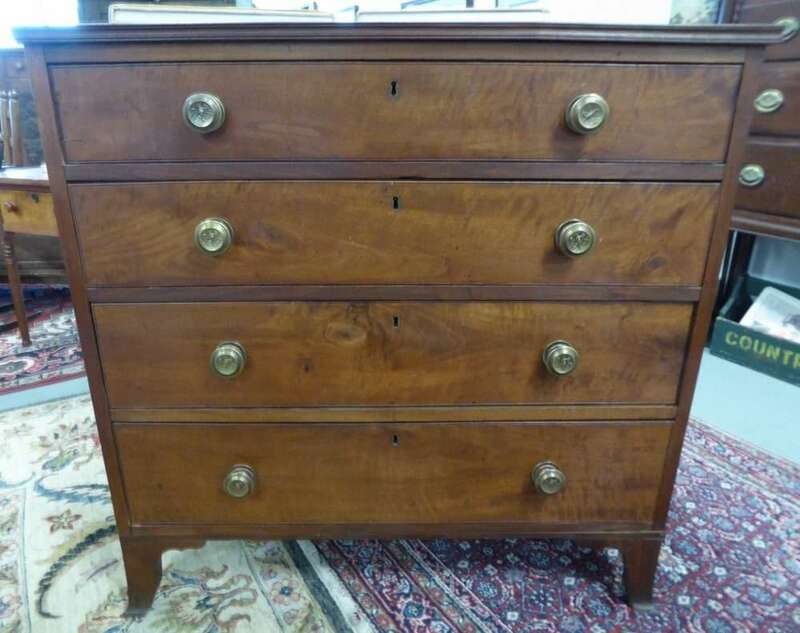 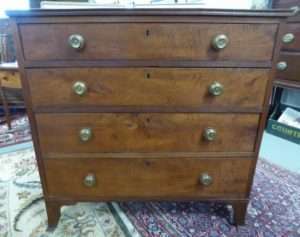 Walnut/Yellow Pine Chest of Drawers from the Treasure Room, c1800, $5500.00. 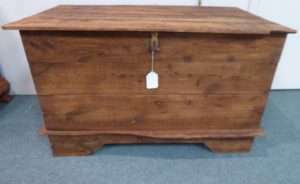 Sugar Chest w Lock from Shenandoah County 1790 – 1820, $14500.00 – Treasure Room. 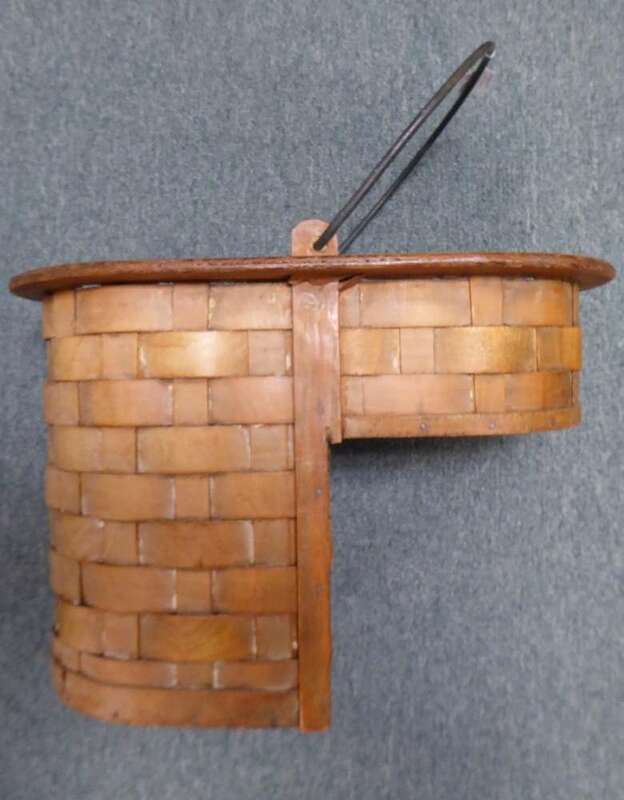 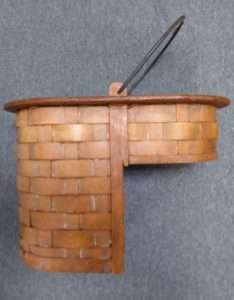 Step Basket w Iron Handle from Booth 62 – $35.00. 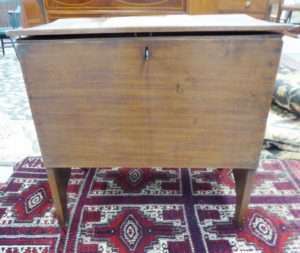 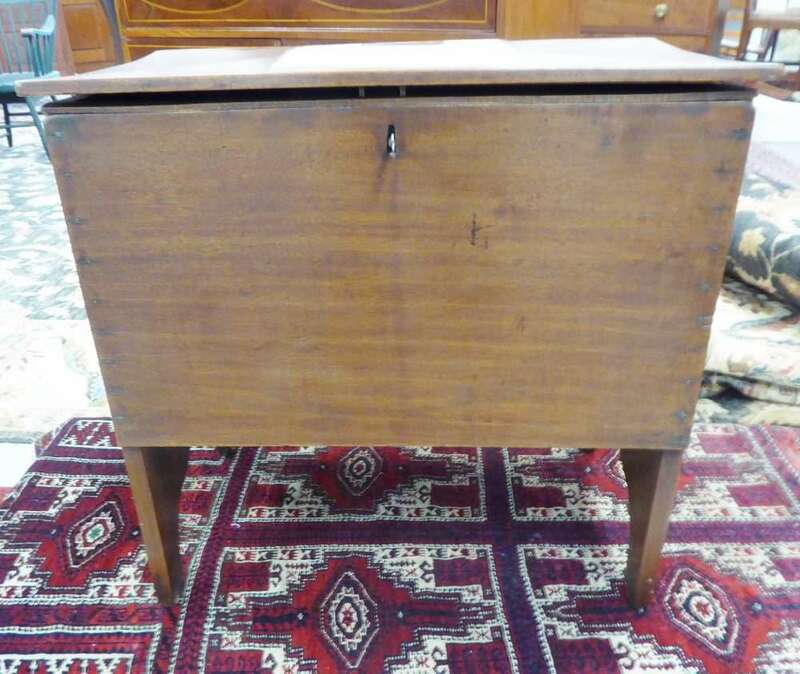 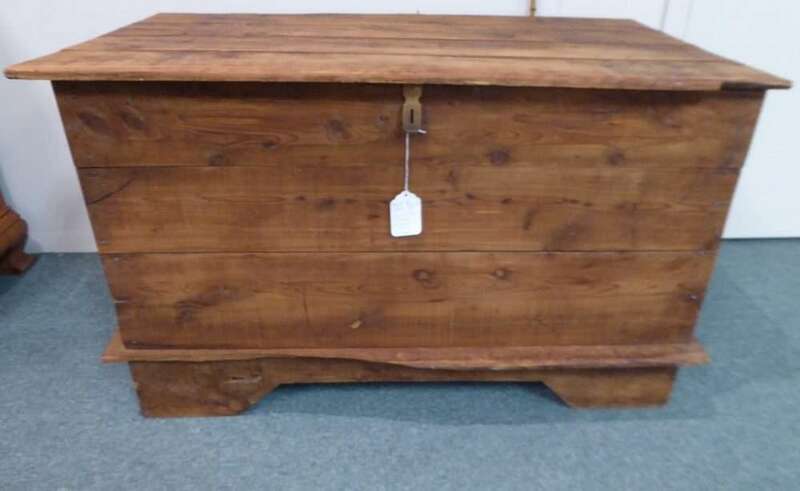 Primitive Blanket Chest from Booth 484 – $95.00. 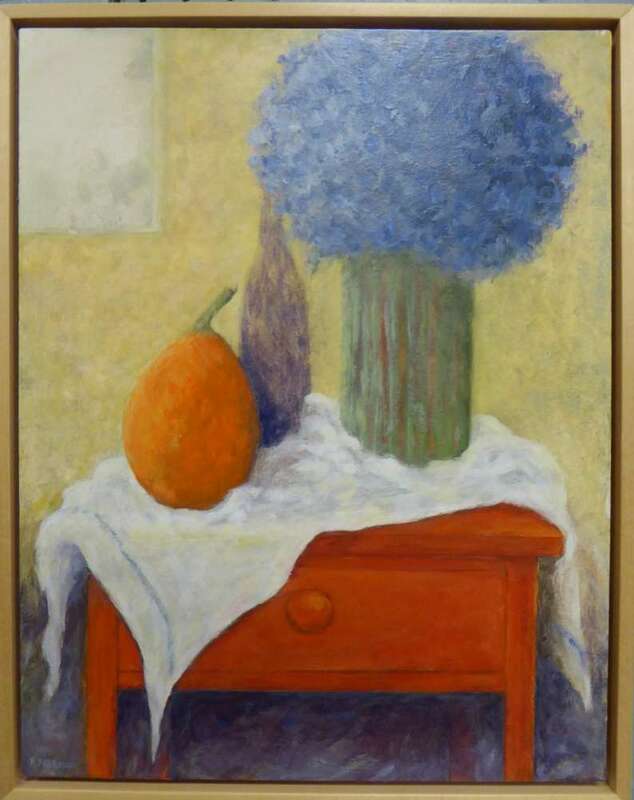 Original Oil by Richard B Freeman – ‘Red Table’, $350.00, Booth 137. 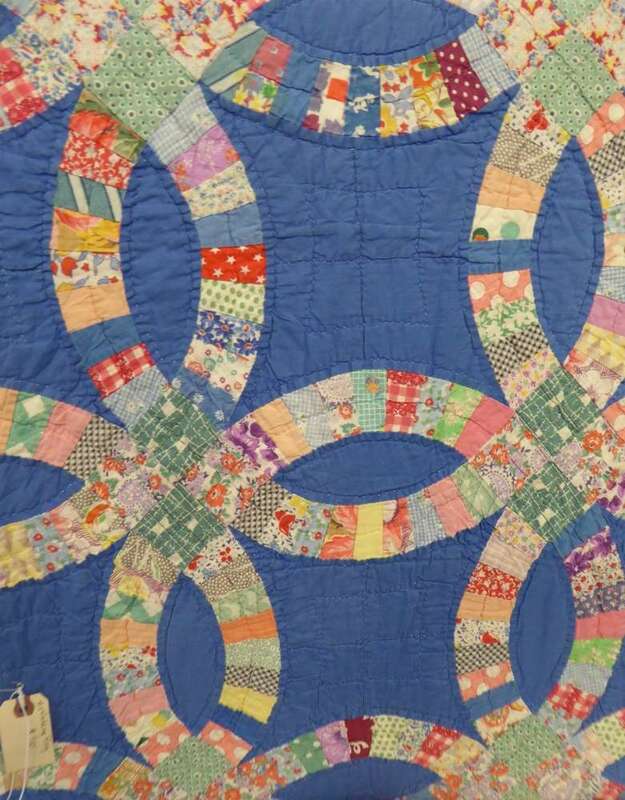 Wedding Ring Quilt, Booth 11 – $525.00. 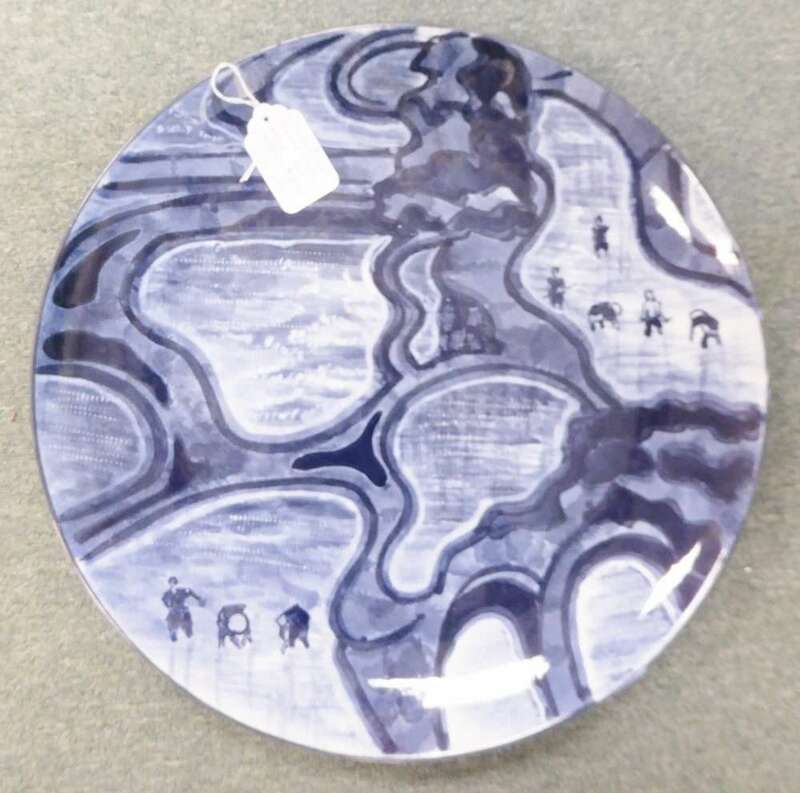 Arita Charger – Booth 3, Signed – $175.00. Pine Drop Front Desk – $195.00, Booth 913. 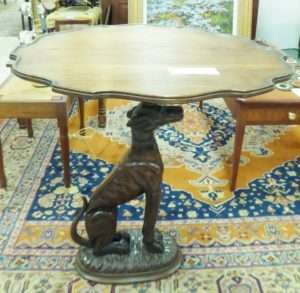 Scalloped Table w Canine Base, Booth 33 – $745.00. 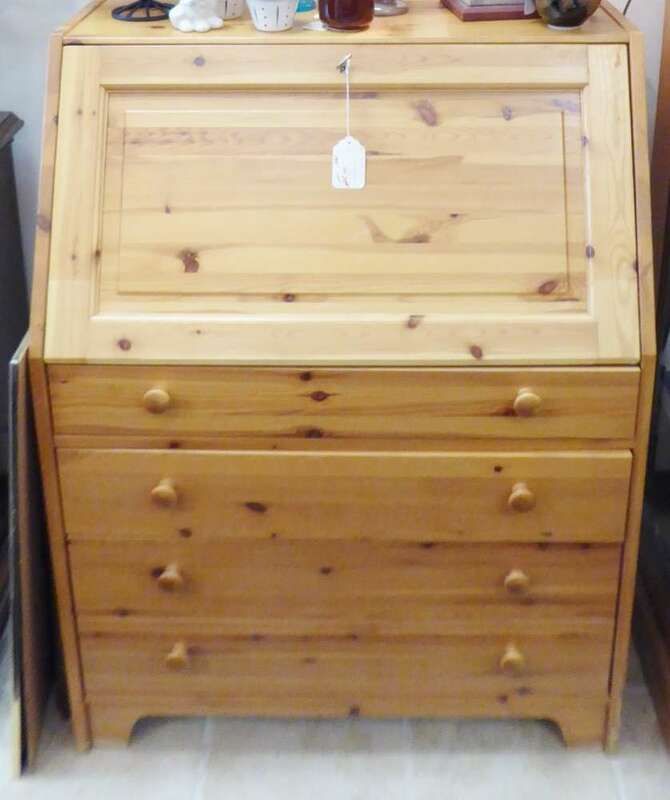 Ithaca ‘Index’ Clock from 33ha – $1995.00. ‹ An Inlaid Box and a Pretty Hand Thrown Charger!